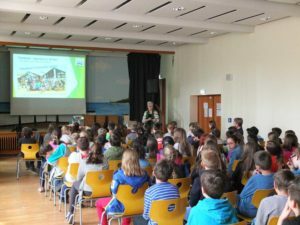 Am 23.04.2015 besuchte uns Frau Elke Kroeger-Radcliffe von Tikondane, um unsereren SuS die Arbeit von Tikondane vorzustellen. Mit Begeisterung nahmen unsere SuS der 5ten, 7ten und 9ten Jahrgangsstufe daran teil. Tikondne wird von unserer Schule dieses Jahr durch Aktion Tagwerk unterstützt. Here are some pictures from Elke visiting Germany. Coming from Tübingen, where she was kindly welcomed and could inform about the progress, she travelled to Laer. Here she received around 7,000 € from the Tiko Foundation, from various generous Donors and activities for Tiko all over Germany. 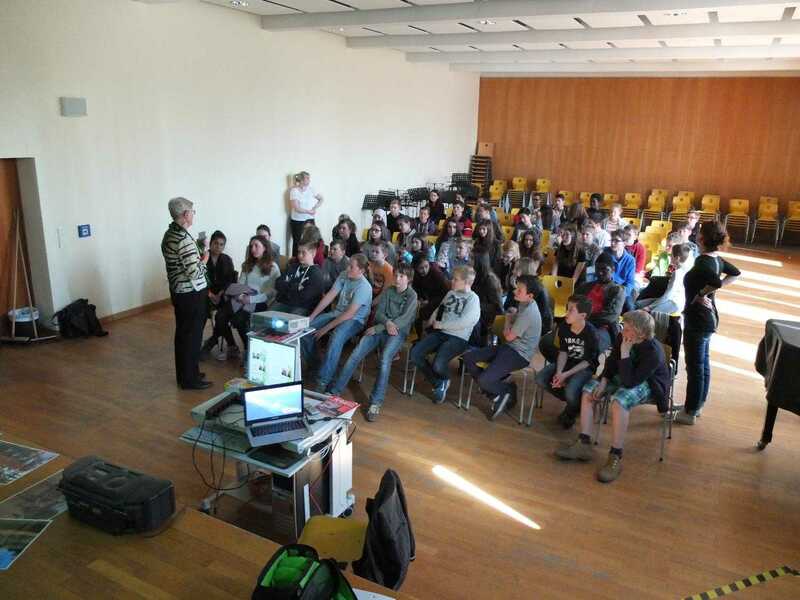 Elke used the opportunity to give her presentation to 5th, 7th, 9th graders from the Georg-Schulhoff-Realschule in Düsseldorf, too. The schools pre job training program resulted in over 2,000 € last year and will go on with Tiko as its partner project. 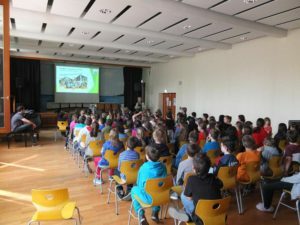 There was also some work to be done on the presentations, which will be shown in the English speaking countries, following on her journey. Next stop was Breda in the Netherlands where new ideas were discussed. From the logistics company „TNT“ in Arnhem, she received 6,000 €, which had been collected through little donations, by the workers who paid for coffee.